My 6 year old loves to get in the kitchen and help mom, but sometimes the grown up stuff is too hard for him to handle. Kids this age are also eager to learn about what happens when you mix different things, which is what baking is all about, right? 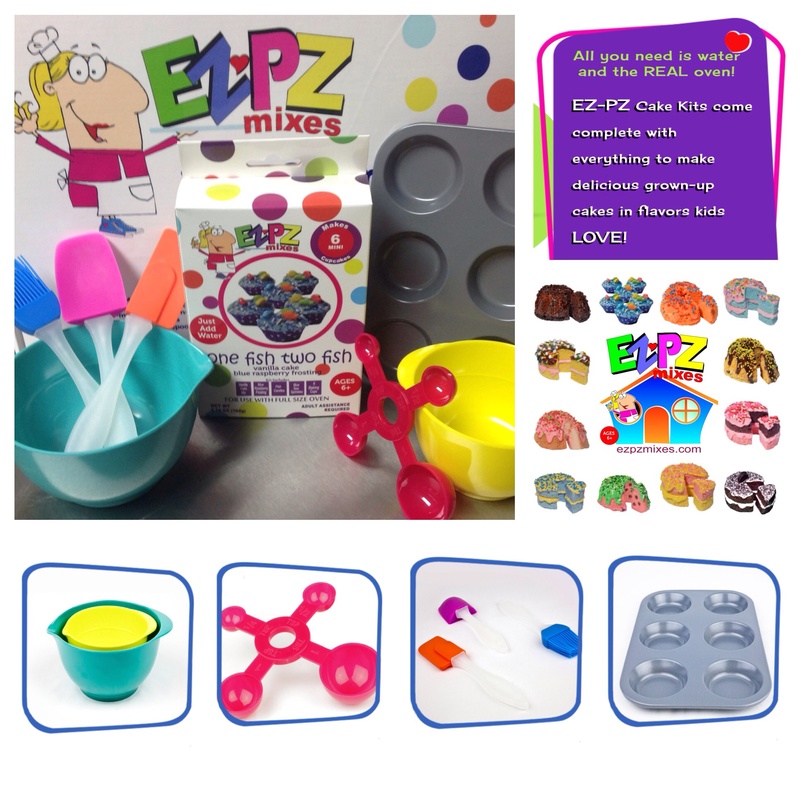 I’m happy to introduce you to the world of EZ-PZ Mixes! 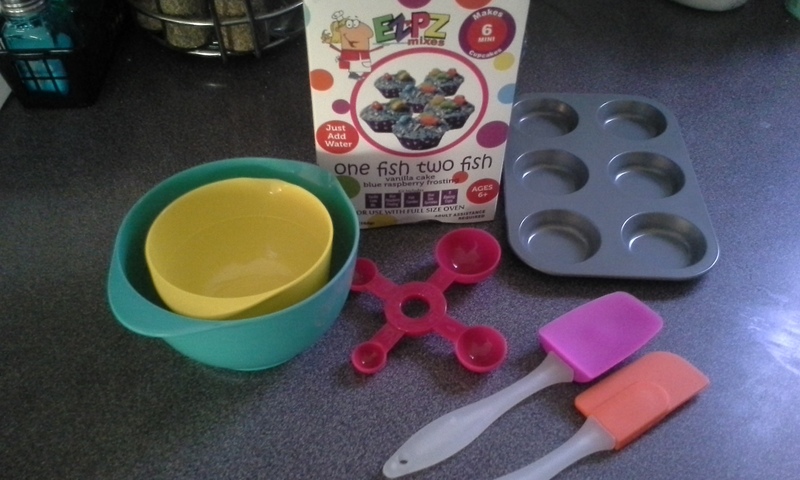 EZ-PZ Baking Mixes are perfect for kids who love to get in the kitchen and create, but aren’t quite old enough to bake with the adult stuff yet. EZ-PZ mixes are formulated to be baked in a real oven, and all you have to do is add water! We were able to try out the Little Bakers Club Box, which is a pretty cool way to get everything your little chef needs to get in the kitchen and make goodies! You get the mixing bowls, pans, and utensils you need to make your mixes. 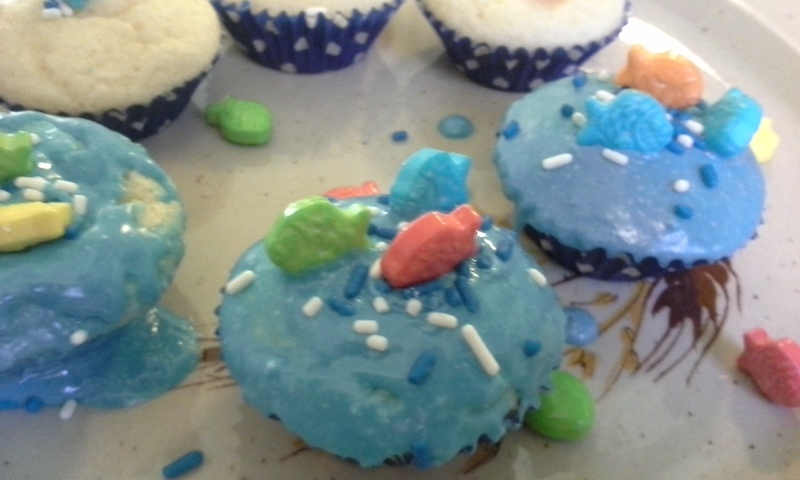 My boy wanted to make the One Fish Two Fish mini cupcakes! 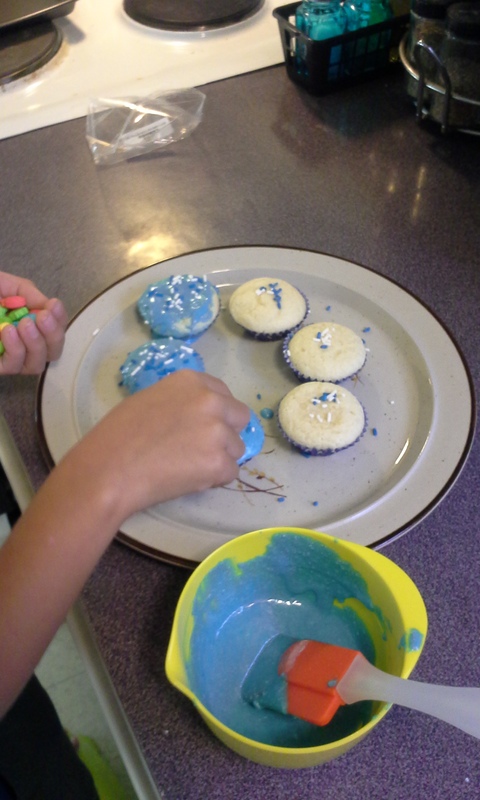 The box comes with baking cups, the cake and frosting mix, sea blue sprinkles, and little fish candies to decorate with. 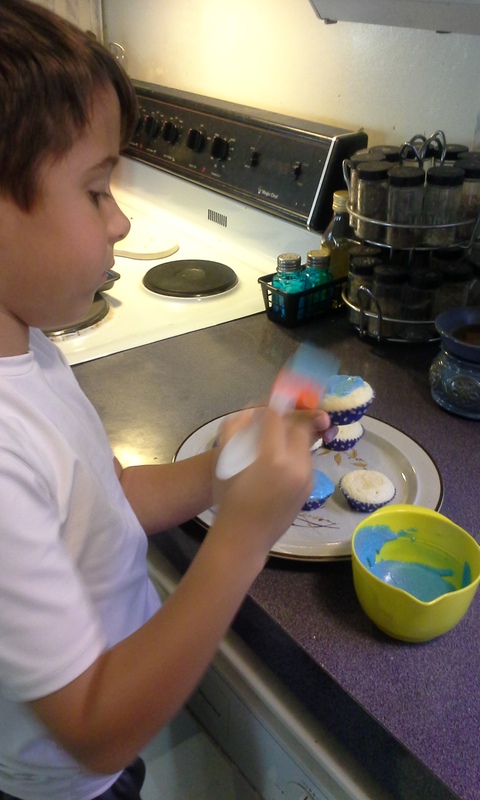 Putting in the baking cups. 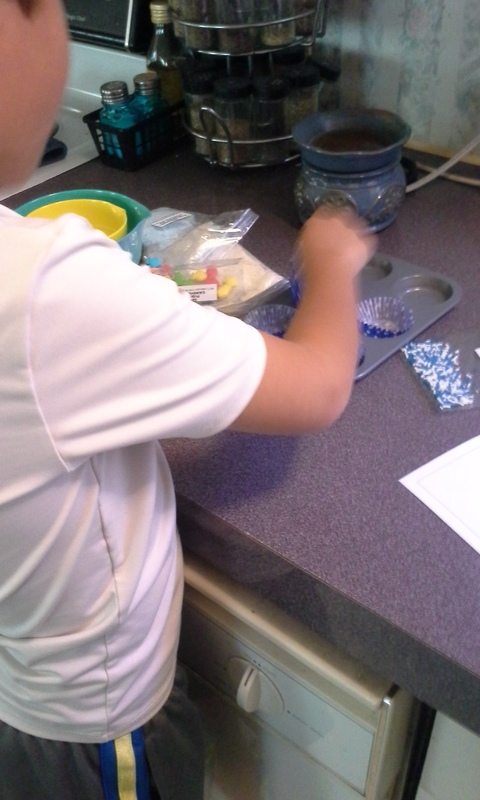 He added water and got to mixing. 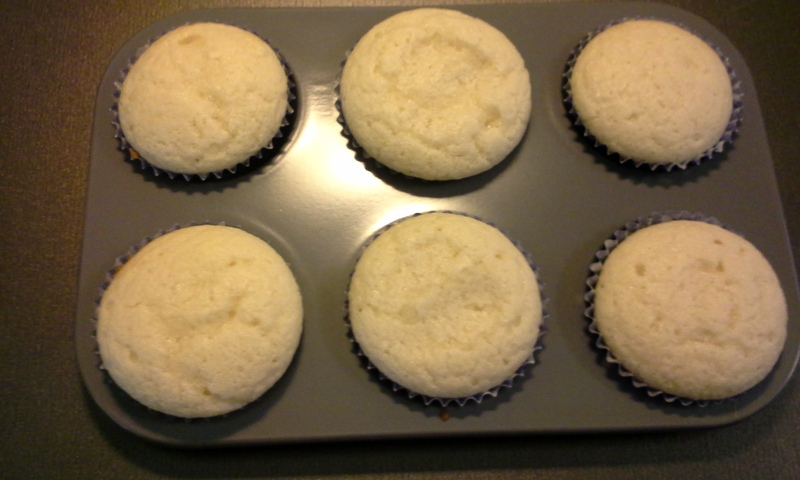 The little cakes came out perfectly! 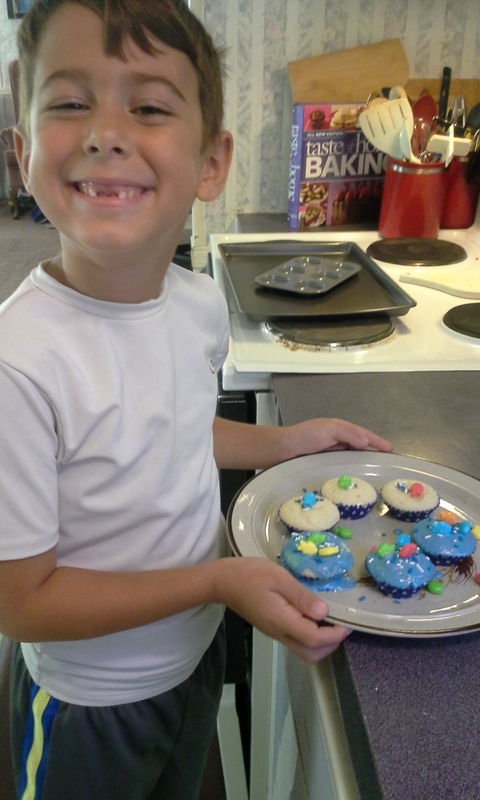 He also frosted and decorated all by himself. N was so proud of his finished product! He doesn’t love a lot of frosting so he only put it on half. The blue raspberry flavor was unique and tasty. 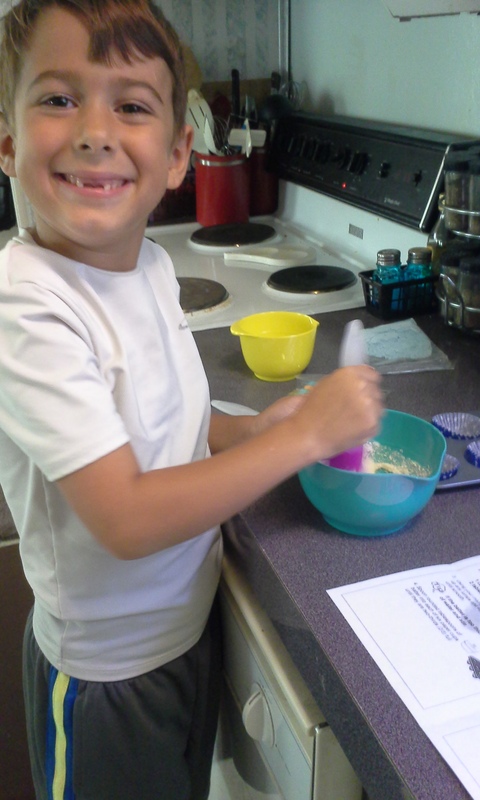 EZ-PZ Mixes are a great way to give your kids a little more independence in the kitchen, and the opportunity to make something they will be very proud of! There is a variety of mixes to shop for, so you’re sure to find something your child will love. EZ-PZ Mixes has been kind enough to provide a giveaway for Sweet Southern Home readers! 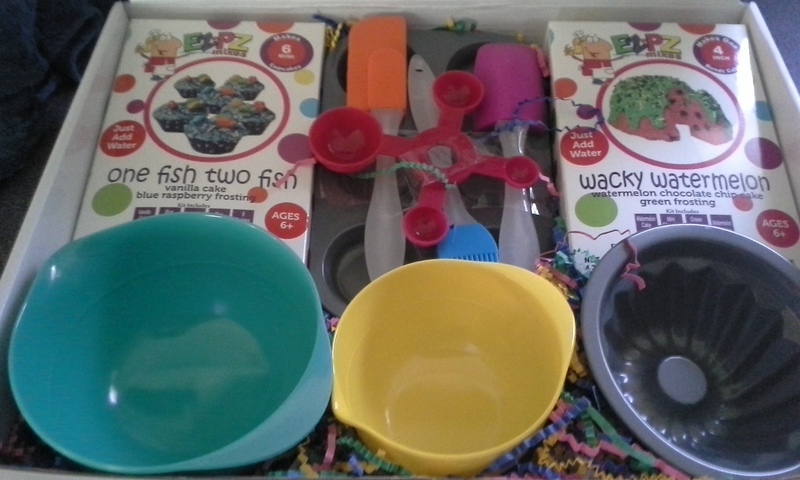 You can win a baking kit with the very same mix I made, One Fish Two Fish, and all the cookware and utensils you need as well. 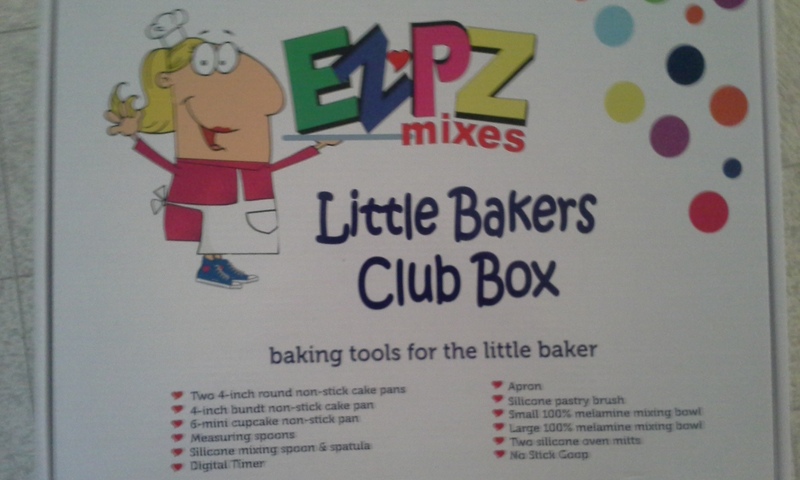 Also, be sure to visit the EZ-PZ Mixes Facebook, Twitter, and Instagram pages! Posted on May 4, 2015, in product review. Bookmark the permalink. Leave a comment.